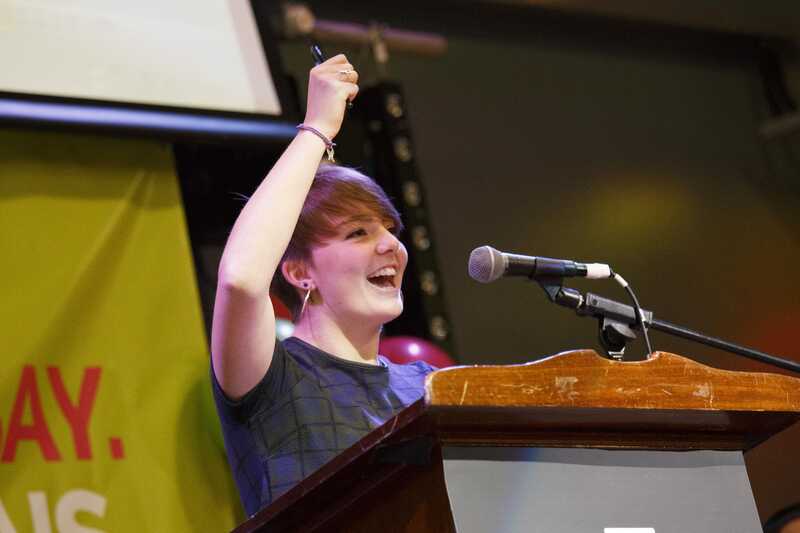 The University of South Wales Students’ Union Annual General Meeting takes place every year and all students are invited and encouraged to attend. If you are a student at USW then you are automatically a member of the Students’ Union. WHY IS THE AGM IMPORTANT TO ME? 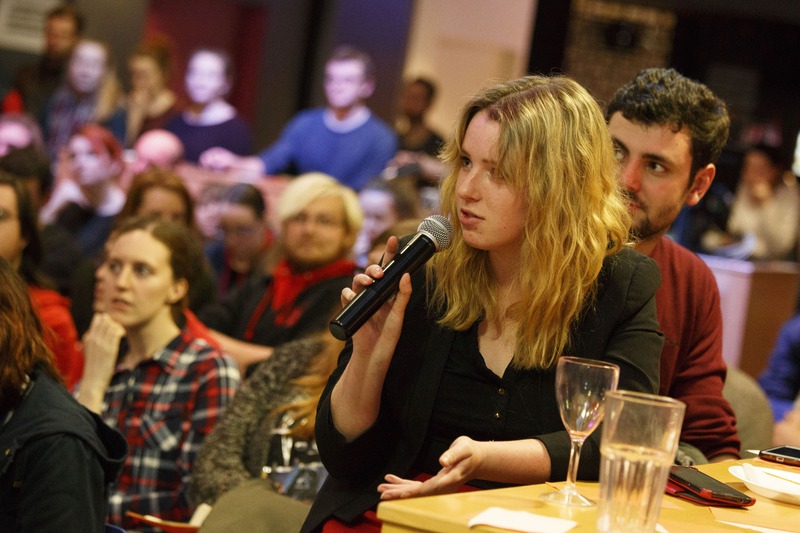 Whether it is debating and adopting policy or mandating the Exec Officers to campaign on specific issues, the AGM is an opportunity for you to have your say on the direction of the Students’ Union. As well as this, the AGM is an opportunity for students to scrutinise the work of elected officers and to ensure that they are fulfilling the promises they made during their election campaign. The Board of Trustees also submits a report which means you will be able to see how decision-making at every level of the Students’ Union has impacted on you, the student body. Decisions made at AGM can have a massive impact on your experience as a student, so make sure you come along and have your say. This year's AGM will take place on Thursday 24th January 2019 at 6pm in TR B001 (Brecon building) on the Treforest campus. Please make sure you bring your Student ID card on the day. The AGM is open to all USW students, you do not have to have been previously involved in any Union activities. Pre-register for the AGM below, doing so will ensure speedy entry, front row seats and perhaps extra leg room! All students requiring free transport from Cardiff and Newport must register online before 5pm on the 22nd January. The bus will leave Newport at 4.15pm and Cardiff at 5pm. Please arrive promptly as the bus will not be able to wait. The bus will return to Newport and Cardiff following the AGM. The Students’ Union is a democratic organisation whose actions are shaped by student Officers and student-created policy. Since every student at USW is a member of USWSU, every USW student has a say in how the Union is run. We asked you to submit your Big Ideas, these, along with the Union Accounts, Auditors, Affiliations and Budget will be presented, debated and then voted on at AGM. Download the agenda and have a good read of all of the below papers before the AGM so that you can make an informed vote. Any member of the Students' Union is allowed to question the Union's audited accounts. To do so, just download this form and follow the instructions. Similarly, students are entitled to challenge the budget. If you would like to do so all you need to do is download and follow the instructions on this form. CAN'T GO BUT WANT TO VOTE? 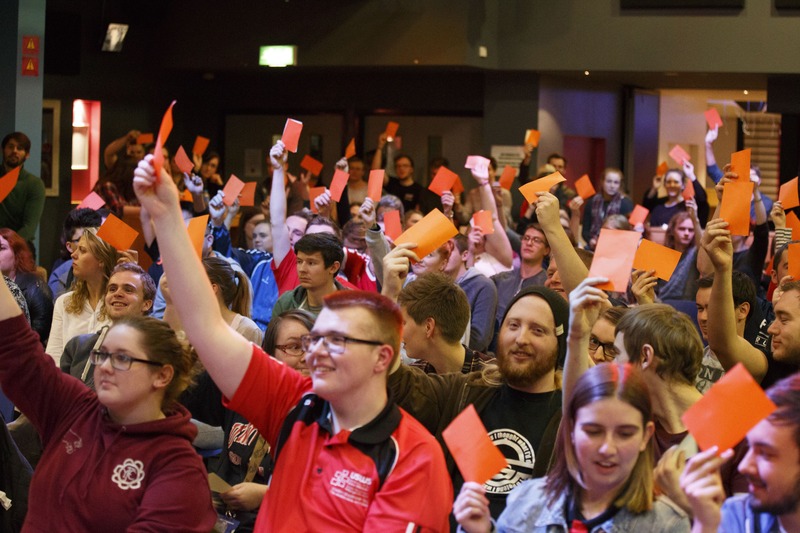 Decisions made at AGM will affect every student at USW; but not every student will be able to attend. That's why you're allowed to vote by proxy. That means, if you can't make it to the meeting, but feel passionately about one or more of the issues being discussed, you can register your vote beforehand. All you need to do is download and follow the instructions on this form. You must return the form no later than 5pm on Tuesday the 22nd of January, 2019. DON'T WANT OTHERS TO SEE HOW YOU VOTE? Agenda Items at AGM are usually passed by a show of hands. However, we understand that some issues will be contentious and others might be too close to call. If you want any of the votes to take place via a ballot, instead of a show of hands - all you need to do is download and follow the instructions on this form. You must return the form no later than 5pm on Tuesday the 22nd of January, 2019.